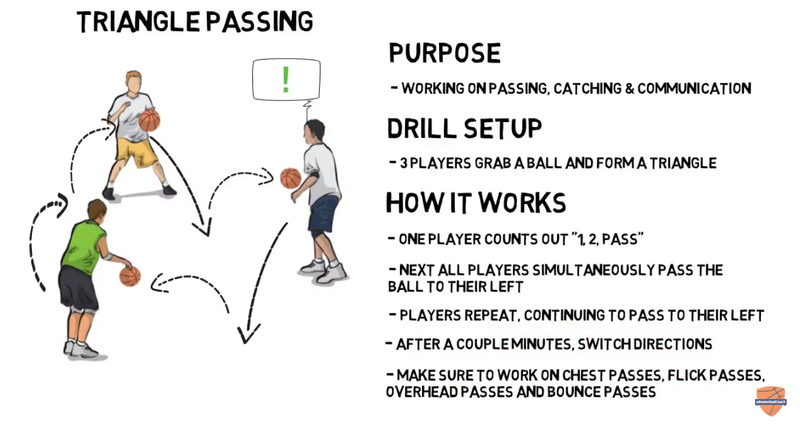 Players should be catching the ball in triple threat position. To begin, you may need to slow the drill down and ensure players are using the correct fundamentals before doing the drill at full speed. Remember, “ball in the air, feet in the air”. This means that players should be catching on a jump stop, or by stepping into the catch – watch out for travels!